Boggo Road Gaol was one of Australia's most notorious prisons. Opened in 1883, it was officially known as the Brisbane Prison. In 1903, a women's gaol (Division 2) was built adjacent to the men's gaol (Division 1). Twenty years later, the female inmates were relocated and H M Prison for Women became H M Prison for Men, home to violent criminals, rapists, and murderers. Division 2 was eventually closed in 1989 after hunger strikes, riots, and roof-top protests over the archaic living conditions gained national media attention. 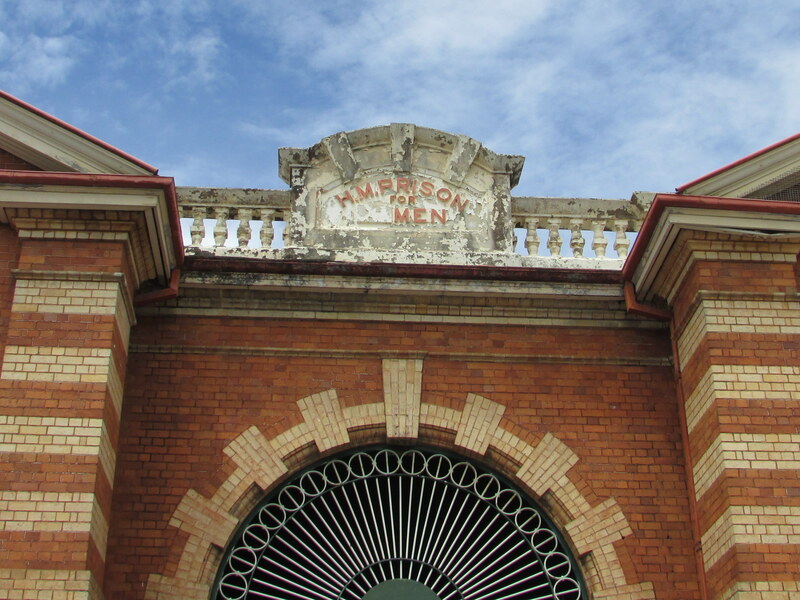 It is the only remaining section of Boggo Road Gaol and is heritage listed. 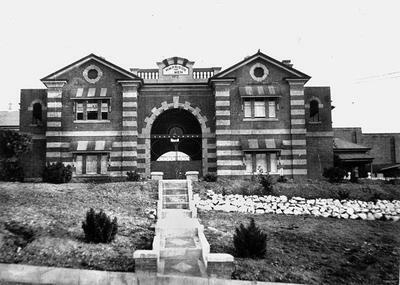 Fast forward more than twenty years; Boggo Road Gaol has been reopened as a cultural tourist attraction offering historical tours. We decided to step behind the six metre-high brick walls and find out what life was like for inmates at the infamous Boggo Road Gaol. Our tour begins in front of the great, green gate. After our tour guide, dressed as a 1950's prison guard, has done a roll call, we step inside (watch out for the ankle breaker). Once inside the gate, we learn about the history of the gaol from its brutal beginnings as a place of execution - forty-one men and one woman were hung between 1883 and 1913 - to its infamous inmates: James Finch and John Stuart (Whisky Au Go Go firebombers), Arthur 'Slim' Halliday (the Houdini of Boggo Road), and Patrick Kenniff (Australia's last bushranger). Other notable inmates include Gordon Brown (former president of the Australian Senate), Nathan Jones (actor and professional wrestler) and Michael Peterson (surfing legend). This fascinating tour takes in the gatehouse, exercise yards, the circle, and one of the original cell blocks. Inside cell block F, we are invited to view the small cells. Graffiti by some of the last remaining inmates is still intact. It's unfathomable that prisoners were still being housed in these cells well into the 80s, with no running water and a metal bucket (no bigger than a paint tin) for a toilet. Before we are released, we head to the visitor's room where girlfriends, wives, and children were able to spend some time with their incarcerated, loved ones. This is the most pleasant place in the prison and features some beautiful murals by former inmate Ray Wallace, who was serving a life sentence for murder. The tours are both intriguing and informative, with stories sourced from former inmates and prison guards. Tours run for one and half hours and are family-friendly (we took our four year old). The PG rated tours run Tuesday to Sunday, from 9am until 3pm. Night tours and ghost tours are also available. Click here for more details. Well bianc, oddly enough some photos appear to have a smudge while others don't. The pics that do, sometimes the smudge is in the bottom left, other times the top right or in the middle of photo. I'm keen to do a ghost tour. This tour is run by the notorious Jack Sims, who's sole aim is to make a huge profit and deny all other tour groups from also running their tours of BRG. The terms of his deed to run these tours clearly state that whilst he has been granted the right to run tours he also has to allow others to do the same. The way in which he is doing (or not doing) this is dispicable and cowardly. BRG Historical Society on the other hand would have funnelled the money back into restoring this building of significance and tours run by volunteer ex guards. As it stands no other companies are able to run their tours due to the exorbitant charges demanded by Sims. Its a disgrace!!! Debra, if you do the tour I would love to tag along. While I am sceptical of a lot of people's experiences of such things, when I was a teenager, I once saw a black figure walk between two graves and disappear, then ask why was I at the cemmetry at night (after a blue light disco no less). I only ever made it the gate, then like a shot I was back in the car. Cheers, Bianca.